Peter Bosz is not as long as a coach in the Bundesliga. There are certainly still one or the other milestone to which the Dutchman will remember. Among other things, there was the eighth matchday in the past season. At the time he lost with Borussia Dortmund vs RB Leipzig at home with 2: 3. That was the first defeat suffered by the coach in the Bundesliga. On Saturday there is now a duel between Bayer Leverkusen and RB Leipzig. Maybe Bosz will have a few thoughts about this bankruptcy about a year and a half ago. The experience of the Leverkusen coach with the cops are not good. It does not look much better for his club. 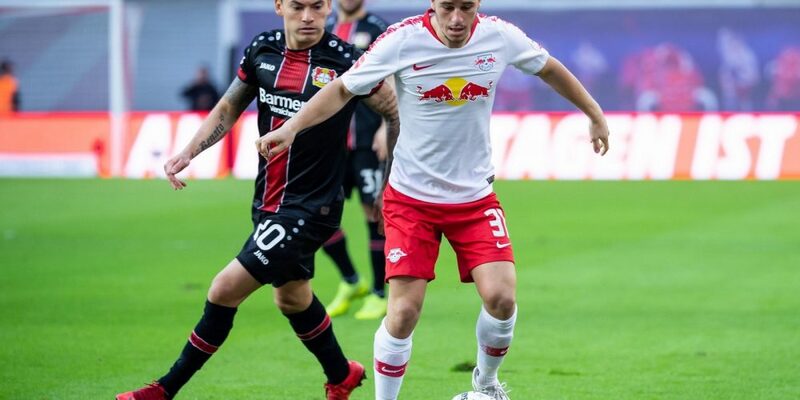 Leverkusen has the worst record in the Bundesliga vs Leipzig. Against no other club Bayer has lost 60 percent of the games. However, the Saxons are only just playing the third year in the German House of Lords. The short affiliation of the bulls to the Beletage relativizes this statistic considerably. Nevertheless, in the duel between Leverkusen and RB Leipzig, we would not be predicting a home win. But the Werkself have performed too poorly in the last few games, while Leipzig is very good on the way. This is also shown in the table. Leverkusen currently seems to gamble even the participation in the Europa League, the goal last was clearly called Champions League. In the direction of the premier class, however, the bulls are clearly on course. Third place should be more than just a snapshot. Therefore, we think that in the match between Leverkusen and RB Leipzig a tip on an away win might not be a bad choice. We see the Saxons in any case in the role of favorites, although the betting odds do not really reflect that. Bayer Leverkusen have a team that has many outstanding talents but has been playing at a very high level for a relatively long time. Therefore, there should be no more fluctuations in performance, which are ubiquitous in the Werkself. Outstanding victories alternate with inexplicable bankruptcies. Recently, there were two nasty slugs against direct competitors in the fight for the Europa League. Perhaps that’s because Bayer 04 likes to have a Hurray football that coach Peter Bosz wants to see, but that carries great risks on the defensive. The Werkself gets numerous Kontertore, because the defense is often not compact. In the current constitution, Bayer is a welcome opponent for teams that have their strengths in the switching game, such as RB Leipzig. Because the crew of Peter Bosz always radiates Torgefahr, we can imagine, in the duel between Leverkusen and RB Leipzig to check the odds on many goals. In the last week such a bet would have been successful again, when Leverkusen in Hoffenheim came 1: 4 evil under the wheels. At first, Kevin Volland was able to draw the early deficit. In the second section, Bayer wanted to win the game but therefore always ran into the open knife. At the end it was, among other things, after an own goal by Sven Bender, 1: 4. Nevertheless, keeper Lukas Hradecky is still optimistic to play in the Champions League next term if there is a win against Leipzig on Saturday. But that is an opinion that he probably has exclusive at the current time, especially since the Werkself is not even on a place in the table, which would be enough for the Europa League. 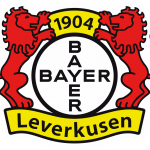 Personnel it looks very good at Leverkusen, so that several tactical variants and even more personnel jibes appear possible. Peter Bosz only has to do without Karim Bellarabi and Lars Bender in this groundbreaking game, both struggling with thigh injuries. We are sure that RB Leipzig will represent German football internationally again in the coming season and it is pretty sure that it will be the case in the Champions League. However, it has been shown this year that the double burden was perhaps a bit much for the cops. Only when Leipzig were eliminated from the Europa League, it was also much better on a national level. The Leipzig are undefeated in the Bundesliga since nine games, a total of eleven matches without defeat. The reason for that lies above all in the strong defense. RB Leipzig is the best defensive team in the league with only 20 goals conceded. For comparison: The Werkself from Leverkusen had to accept more than twice as many with 44 goals. This is a point that speaks in the duel between Leverkusen and RB Leipzig for a tip on the guests. In the current state it can still be a big season. In addition, the Saxons could get their first title. On Tuesday, RasenBallsport prevailed in the quarterfinals of the DFB Cup at FC Augsburg with 2: 1 after extra time. Overall, the FCA was the better team and the Leipzig could not complain if they had retired. Timo Werner brought his team a quarter of an hour before the end of regular time with 1-0 to the front. In extra time Augsburg came to draw and had in extra time more of the game. But this time it was Leipzig that benefited from a last-minute goal. Marcel Halstenberg was able to turn a hand penalty into a winning goal in the 121st minute. However, the bulls were quickly grounded again, because keeper Peter Gulacsi makes it clear that the match in Leverkusen in the fight for Europe is eminently important. This makes it clear how focused the Leipzig are currently on the road. On Saturday we expect some changes in the starting eleven. It is clear that Emil Forsberg and Lukas Klostermann, who both did not travel to Augsburg, will be in the starting eleven. Missing continues to be Dayot Upamecano. RB Leipzig plays in the third season in the Bundesliga. Because so far there were no other duels against the Werkself, so far five encounters to book. In direct comparison Leipzig is ahead with 3: 1 wins. Once they parted with a draw. It is interesting that the bulls in Leverkusen have not lost yet. The first leg in Saxony was a clear affair for RB. With 3: 0 the Werkself was defeated. Yussuf Poulsen was twice in the scorer list. Lukas Klostermann met for 2: 0 in the meantime. With Leverkusen and Leipzig, two teams meet each other on Saturday, whose philosophy is to play offensively aligned. While the Werkself have not yet found the balance, the Bulls are still very compact on the defensive and have the fewest goals conceded in the Bundesliga. In addition, the Leipzig are unbeaten in eleven competitive games in series. Leverkusen, meanwhile, has lost twice against direct rivals for their entry into the Europa League. That means probably that in the duel between Leverkusen and RB Leipzig the prediction goes rather in the direction of an away victory. ⭐️ Against no other club in the Bundesliga Leverkusen has a worse record than against RB Leipzig. ⭐️ Leipzig has not lost in the past eleven competitive matches. ⭐️ With only 20 goals conceded Leipzig is the best defense in the Bundesliga. However, Leverkusen is a lucky bag and could also get a super day. Therefore, we keep betting on the outcome of the game. However, we think that both teams will play with their sights wide open. Therefore, we also expect some goals. In the match between Leverkusen and RB Leipzig we would like to use the betting odds for the tip on over score (+2.5). The odds are only in the range of 1.62, but given the offensive qualities of both teams, it should still be found in the value.